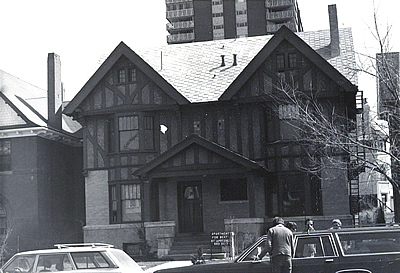 The most dominant features of the Tudor Revival style are the false or ornamental half-timbering, which covers the upper story, and the steeply pitched roof. 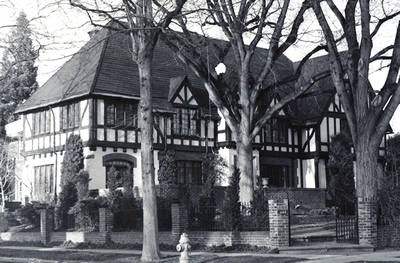 Exterior texturing, through the use of brick, stone, or stucco, together with the half-timbering and asymmetrical massing, gives a Tudor Revival style building a picturesque composition. 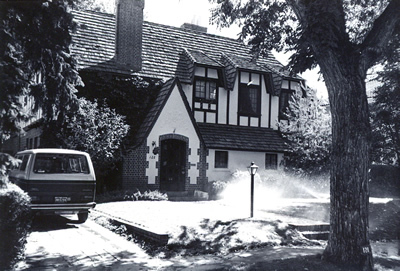 Constructed in Colorado primarily during the late teens and the 1920s, these houses also feature gabled or hipped roofs with tile, slate or shake shingles, and decorated chimney detailing. Windows are generally tall and narrow multi-light casements with an occasional bay window.